Dogs will love to play in the fun with the FouFou Dog Emoji Ball Dog Toy Love! These soft and nubby balls are fun and great for fetch and bring a smile to your face. 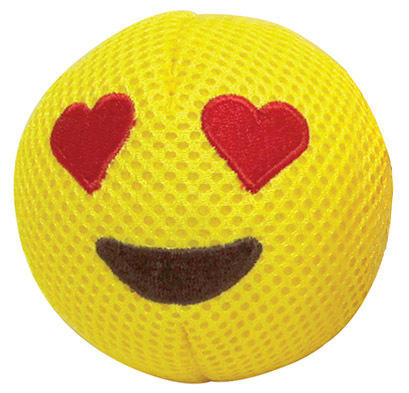 Emoji ball has a TPR spike ball inside the soft exterior. Mesh exterior will feel great on your dogs teeth and they will love to bite down into the squeaking fun.